Comcast may be a very big corporation, but that doesn’t prevent its Solution Providers Program from rockin’ the house when it comes to taking care of their business partners. 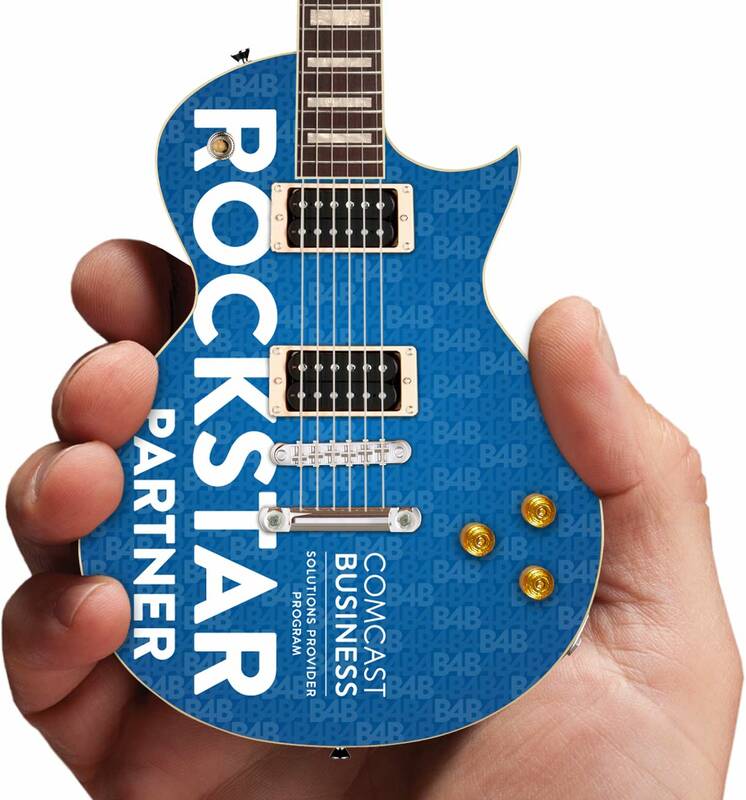 The promotional mini guitars that Comcast created for the business unit’s Rockstar Partners features messages on the front and back of the body, which is completely covered with a subtle silk-screened B4B background design. 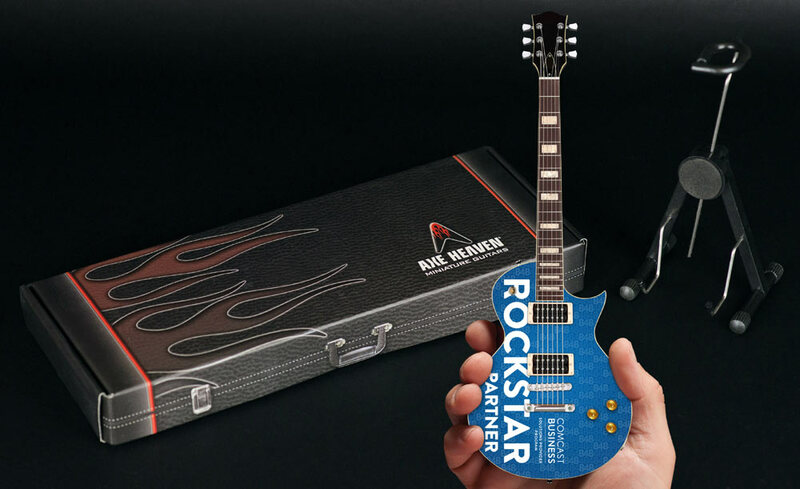 Each 10″ promotional guitar is handcrafted from wood (with metal tuning keys) and comes in an AXE HEAVEN® guitar case gift box. An A-frame display stand is included in each box. 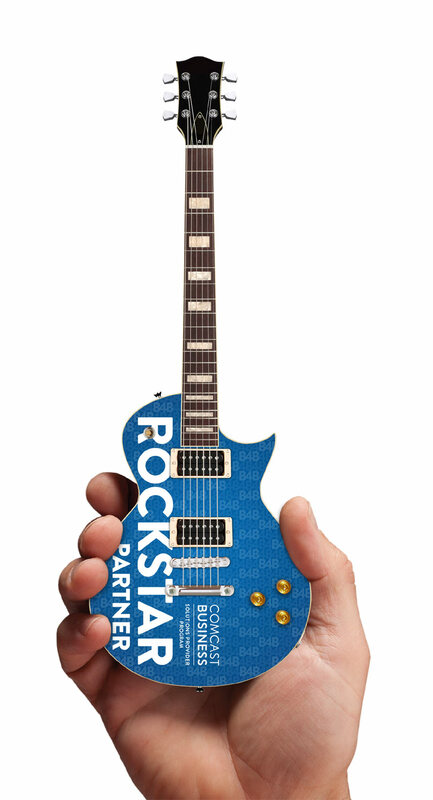 If your company wants to let your own rockstars know how much you appreciate them, contact us.